Better, Is Coming 4 U! | Champions 4 Christ Inc. 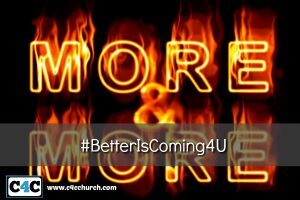 Better, Is Coming 4 U!